Usually when we think of adding that “crunch factor” into a meal, we usually opt for nuts such as almonds, cashews, or pistachios. However, seeds are a great way option if you’re trying to switch up your usual meal or if you struggle with a tree nut allergy. 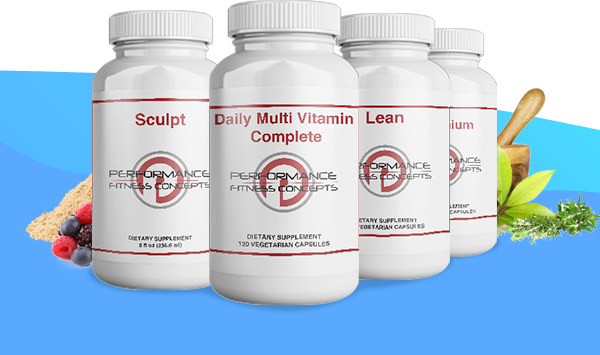 These options are not only versatile in use, but they can provide an additional health boost. This seed is making its way into the grocery shelves and is causing a great fuss for many reasons. This incredibly healthy seed has one of the most unique nutrition profile than all the other seeds; hemp seed is one of the only seeds that contains all of the essential amino acids which makes it a complete source of protein. 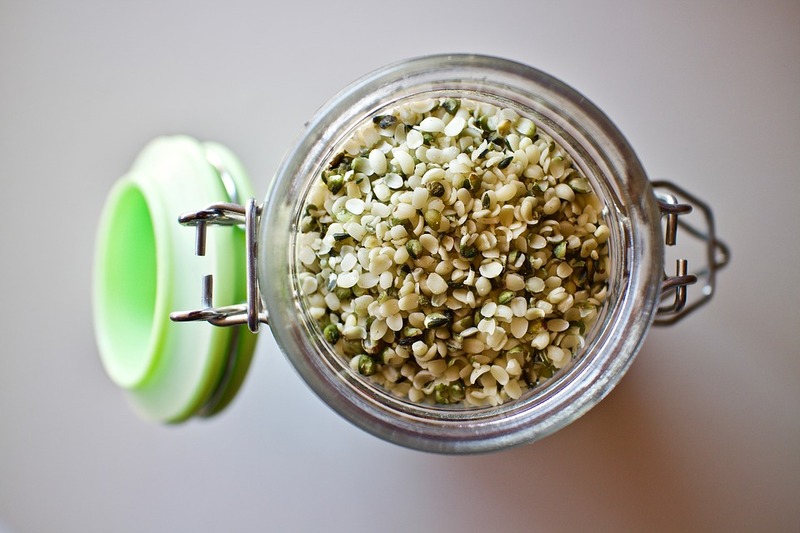 In three tablespoons, hemp seeds contain over 10 grams of high quality protein. In addition, hemps seeds are rich in Omega-3 fatty acids, magnesium, and phosphorus. Aside from the amazing macro and micronutrient standpoint, the subtle hemp seed flavor won’t mask any meal. They are ideal to top on a smoothie, sprinkled on oatmeal, or tossed into a salad. 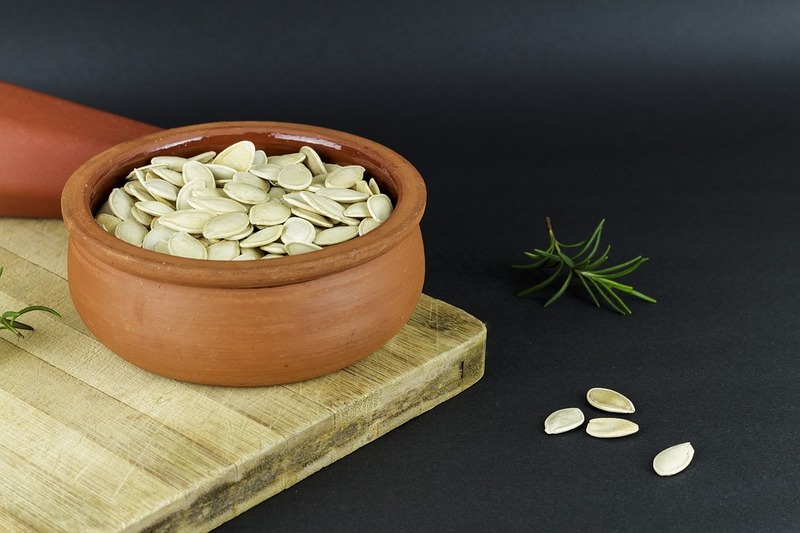 These seeds, also known as “pepitas”, usually become quite popular during the fall season due to the influx of pumpkin patches. However, the seed can be added into your meals any time of the year to give it a beneficial boost. In a one-ounce serving, pumpkin seeds contain over 8 grams of protein, 2 grams of fiber, and are a good source of phosphorus, manganese, magnesium, and iron. 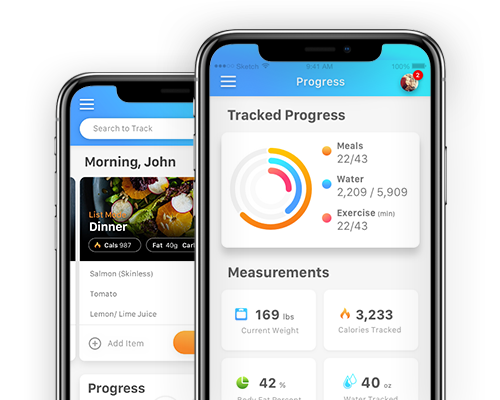 Whether you opt to enjoy these pumpkin seeds boiled, roasted, flavored, or plan, you’ll be sure to be adding an additional healthy boost to your meal. Baseball season is here and if you’ve ever checked out a game, you have likely seen these little sunflower seed shells all over the stands. Grabbing a handful of shelled sunflowers and tossing them into your mouth is usually the most common way these seeds are eaten. However, aside from the typical baseball snack, these seeds can be bought unshelled and ready to toss into a salad or topped on your meal. 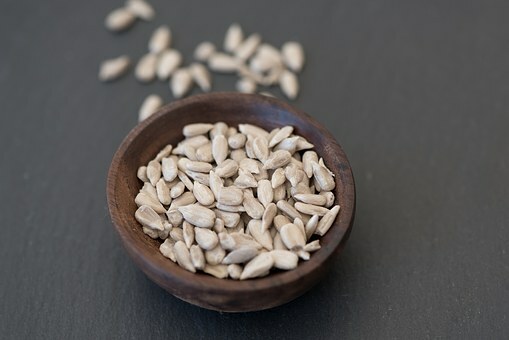 In a one-ounce serving, sunflower seeds are a good source of vitamin E, copper, thiamine, manganese, and folate, and also provide over 4 grams of fiber. Luckily, those who keep clear of nut butter due to a tree nut allergy, sunflower seeds butter can be a tasty and nutritious alternative that won’t trigger a reaction. 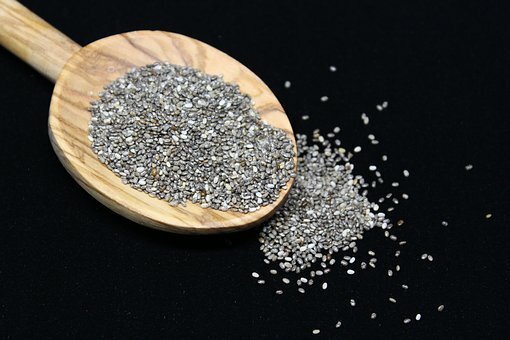 It is safe to say that chia seeds are the most popular seed considered to be superfood on the market. 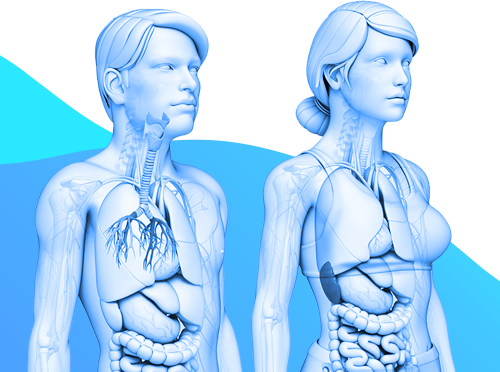 The benefits of chia seeds date back to ancient history and continue into modern day. These tiny seeds contain a whopping 10 grams of fiber for every one-ounce serving. In addition, they contain over 4 grams of protein and are a rich source of manganese, phosphorus, and calcium. It’s a great thing that this seed is incredibly versatile; it can be topped on oatmeal or smoothie, blended into your protein shake, added to your beverage, and even made into a delicious pudding. With which ever seed to opt to try or included into your weekly meal plan, these seeds are a great way to add a little (or a lot!) 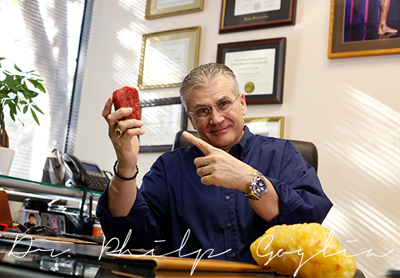 of extra protein and fiber into your diet. 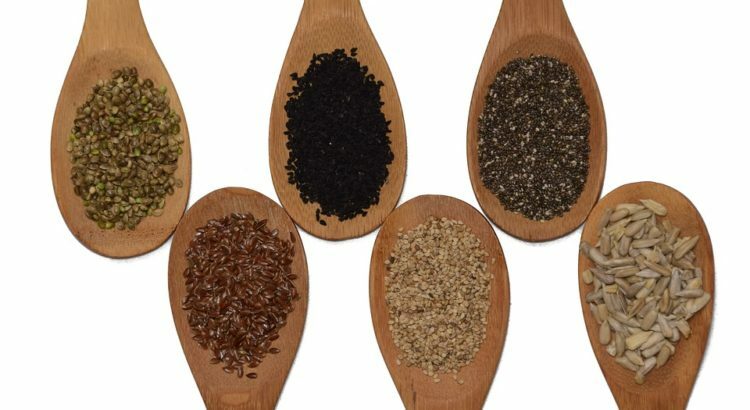 With each seed providing you with good sources of vitamins and minerals, these seeds all have one thing in common; the help reduce inflammation, reduce risk of chronic illnesses, and can help improve digestion and skin integrity.